Fresh, contemporary and consistently outstanding are the trademarks of P.F. Chang’s. This high-energy bistro combines traditional Chinese cuisine and American hospitality to create a truly unique dining experience. Enjoy favorites like Chang’s Lettuce Wraps, Mongolian Beef and Banana Spring Rolls. 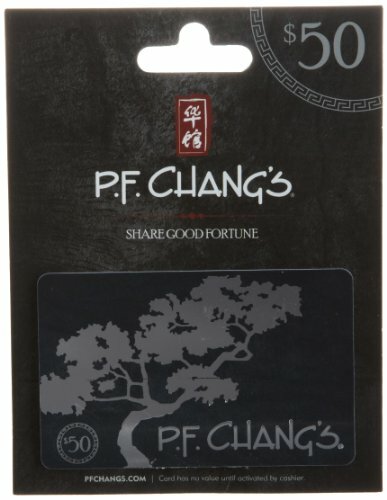 Make your reservation online at pfchangs.com. Share good fortune and delicious Chinese cuisine with a P.F. 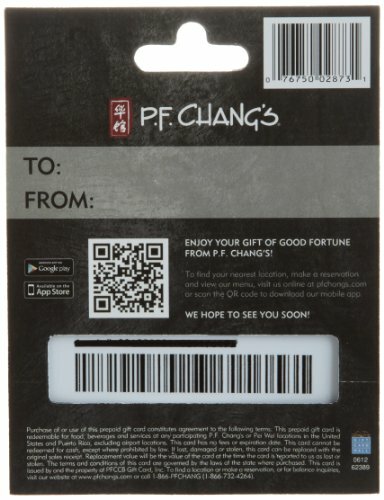 Chang’s Gift Card.